Just a short walk from Deerfield Beach Pier, Carriage House Resort Motel is also within 3 miles of popular sights like South Beach Park. 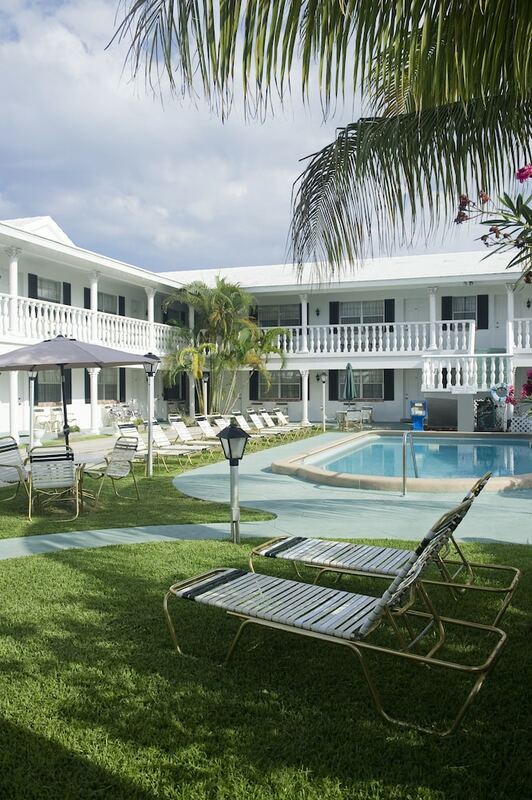 Also convenient to this business-friendly motel are Mizner Park and Deerfield Island Park. Set your bags down and relax in one of the 30 rooms, complete with free local calls, safes and desks. For your enjoyment, flat-screen TVs come with cable channels, and other amenities include microwaves and refrigerators. Limited housekeeping is available. This motel offers an outdoor pool, a garden and concierge services. Other features include laundry facilities. Take advantage of the free WiFi in rooms and public areas. As an added bonus, you'll also get self parking. Carriage House Resort Motel features an outdoor pool, a terrace, and a garden. Public areas are equipped with complimentary wireless Internet access. This business-friendly motel also offers concierge services and laundry facilities. Complimentary self parking is available on site. Carriage House Resort Motel is a smoke-free property. Rollaway/extra beds are available for USD 12.00 per day.